In Venice this spring I liked the look of the buildings. They have an impression of being run down. And I do not think it needs to be this way. On the other hand this look is typical of Venice so I took it as what it is. I may like clean better than shaby, but I would never claim that old and run down can not make for a good shot. When I was a child we had a poster on the wall that had photos of doors, one by one. Just doors, and all where different. When I see beautifuly doors, or special ones, or very old ones I take the picture. Maybe one day I will make a poster like that. 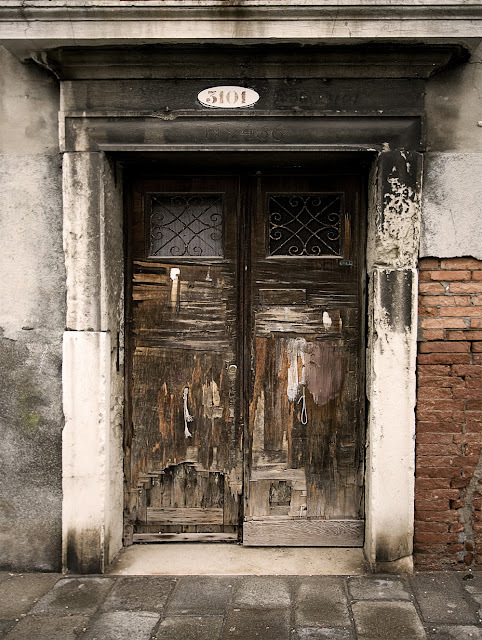 This door I found in Venice in the old Jewish Ghetto.